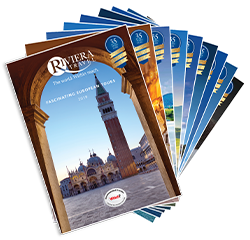 Arranging a group tour has never been easier than with Riviera Travel. See the information below, or contact our Groups Department for further details or to book. Dramatic scenery, compelling cities, stunning countryside, beautifully preserved medieval towns, mighty monuments, artistic masterpieces, enthralling experiences, amazing natural wonders, lush green forests and sparkling waters, intriguing history, striking natural beauty, unsurpassed destinations each with their own appeal, full of mystery and beauty, awaiting your discovery on a Riviera Travel escorted tour for your private group! 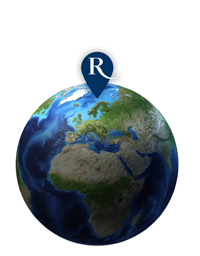 Established over 34 years ago and offering a wide range of quality European and Worldwide fully escorted tours. Members of ABTA, ATOL, IATA and AGTO so you can rest assured that your group holiday plans and your money are as safe as they possibly could be. Easy payments – Group members can make their payments together or as individuals and the balance can be paid in instalments if you wish, whichever is better for your group, as long as it is fully paid 8 weeks prior to departure (13 weeks for some cruises). Most excursions are included in the price – making it easier for your group to budget for their trip. A selection of our tours have a range of pre-bookable personalised experiences to further enhance the holiday and make it as individual as you. 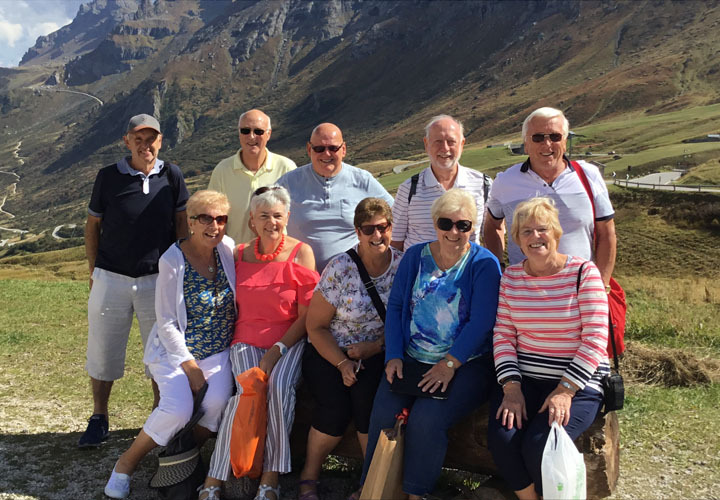 Give the dedicated groups team a call on 01283 742322 or email groups@rivieratravel.co.uk with your group name and your travel plans. We will advise on availability and hold the necessary allocations off sale for around four weeks (depending upon the tour). We will send you a pack containing booking forms and itineraries for you to circulate for completion. You can then choose to send the completed booking forms and deposits back individually or as a group, and we will send the confirmation/invoice directly to your group members – the travel documents can come to you to distribute or again be sent directly to the members, whatever is easier for you. 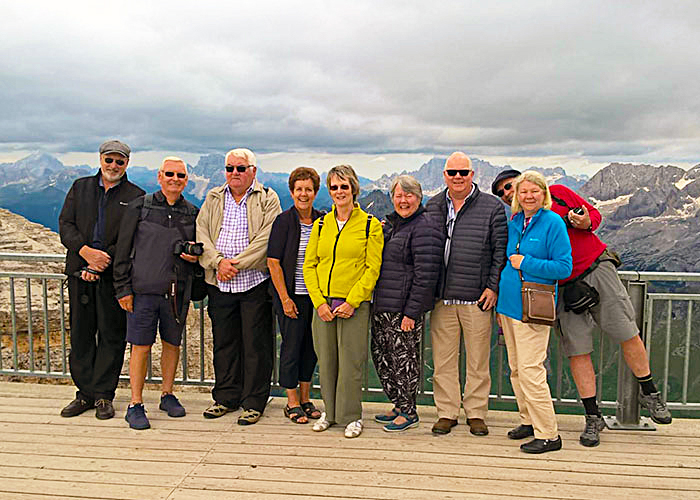 If a larger number of people are travelling together we could operate your chosen tour as a private group and at no extra cost to the brochure price on most occasions. Smaller groups could travel as a shared tour, where we would also have other individual like-minded Riviera Travel passengers on board. This would in no way detract from the quality or content of the programme and your group would still travel and stay together throughout, but it would mean you would not have to reach a minimum number of people for the tour to operate at the lowest price, thus taking away the risk factor sometimes associated with group travel planning. Finally there is the option of a tailor made tour, following your chosen itinerary or allowing us to tailor one to suit your particular interests. Whatever you decide, whether to travel by air or Eurostar, on a touring holiday or single/multi-centred break, all of our tours are fully escorted throughout by an experienced Riviera Travel Tour Manager, and with low deposits starting at just £50pp to secure places, there has never been a better time to book a group holiday! We price our holidays at the lowest possible rate for all our passengers, and as a company we never discount our holidays. However, as a thank you for bringing your group to us, we would like to offer you a commission payment based on the total holiday cost. 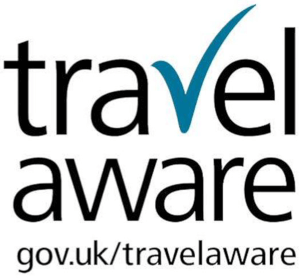 This would apply for any groups of 10 people or more travelling together and is valid on all of our holidays. As this is a commission, the payment will come to your group the month after travel, for you to do with as you wish. We will contact the group leader to request an invoice to be sent to us after travel for the agreed amount (plus VAT if applicable to your group). This is not valid for bookings made through a third party. Please contact us for further details.
" This trip to Turin couldn’t have been better. The flight times were most convenient. The Hotel was exceptional. The trips out were well organised Carlotta was an excellent guide (travel manager). She couldn’t have done anymore to make our time there a most enjoyable. Her tips on where to eat and how to get there proved very useful and they were lovely places to go. She was always available during our free time. Most enjoyable holiday and thoroughly recommended. " " Our Tour Manager was always cheerful, friendly and helpful as was our local guide. The content of the tour was very good and those of us who hadn't been before felt that we had really covered the whole of Northern Cyprus, which is what we want. With temperatures of over 30 degrees and continuous sunshine we all ended up happily exhausted. Please pass on our thanks to all the people who work so hard to enable us to enjoy our holiday. " " We have just returned from our wonderful holiday at Lake Maggiore and I would like you to know it was excellent. The Regina Palace Hotel was excellent as were the staff. The hotel was also centrally situated with a short walk into Stresa so we made a very good choice there. Our tour manager was brilliant, so knowledgeable and helpful and very patient with my group. We couldn't have done better. A big thank you Riviera. We shall now look forward to our next holiday. " For info outside these hours please contact the Reservations Department on 01283 742 300. Open until 7pm weekdays & 10am - 4pm weekends. Be inspired by one of our free brochures. Packed with inspiration and all you need to plan your next holiday.